This brief post starts the Bioloid programming workshop, using ​C, C + + and C# languages and different controllers: ATMega (CM-510), PC, SBC. C language is a simple, powerful and extremely versatile tool used to develop software for industries as diverse as the automobile , medical equipment or for the software industry itself, from Microsoft Office to operating systems like Windows or Linux. are a comment too, ending with another asterisk and a slash. especially, why we do so, because after a few months we will not remember the details. 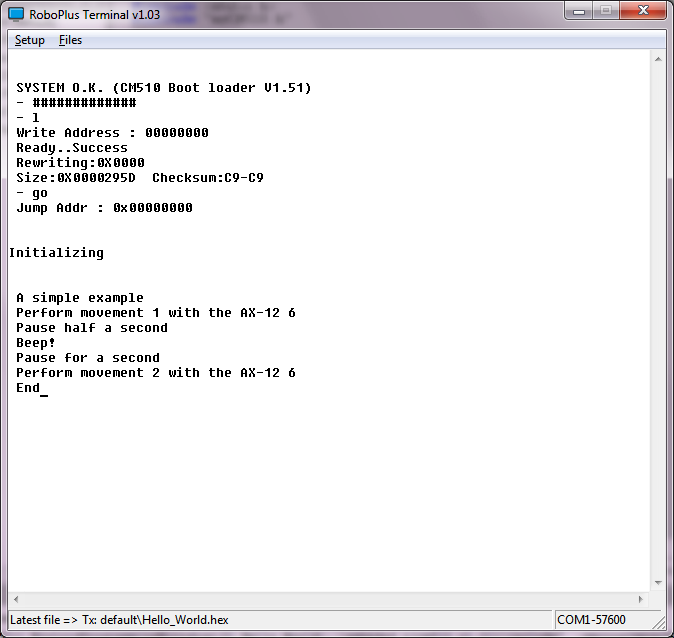 the printf function to display information on screen. // Guess what does the following function? But previously you should install the software needed to program the CM-510. If you install WinAVR in “C:tools WinAVR-20100110” you can download a zip with everything ready to use. After loading our program in the CM-510, to use RoboPlus Tasks, Motion RoboPlus Robotis and other programs, we will have to restore Robotis firmware. The characters “\r \n” are used to jump to the next line in Windows. This function is included in the Robotis CM-510 libraries allowing us to send commands to a Dynamixel actuator very easily. 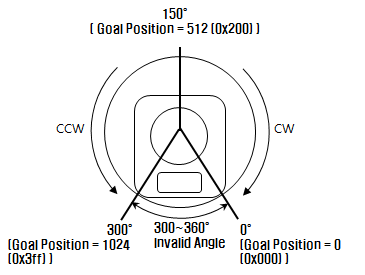 We only have to indicate the ID of the AX-12 to move (ax12Id), the code of the order that the AX-12 should execute, in this case go to the goal position (P_GOAL_POSITION_L), and the position in which has to be placed between 0 and 1024 (600 in the example). Having previously created the init () function in myCM510.h/myCM510.c allows us to include it easily in this program. In addition to simplifying programming we can reuse the same code in different programs. This saves us from having to repeat the same code many times and, especially, have to correct faults or improve in only one point, . Later we will see how to organize directories and even how to create libraries. It also allows us to encapsulate the details, so that when the program starts growing we can handle them easily without being overwhelmed. Can you think of an easy way to avoid having two similar functions such as “void executeMovement1 (int ax12Id)” and “void executeMovement2 (int ax12Id)”? Didn’t see where is the .zip file that I could download. Can anyone tell me?